From Leader to Leader – Pastor you are SOOOOO Appreciated! As National Pastor Appreciation Month nears its end, I am always curious to know how creative church boards have been in expressing their appreciation to their local pastors. 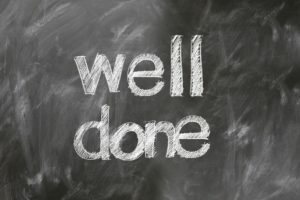 I am also aware of the likely possibility that comparing one’s “appreciation moment” with another ministry colleague could result in not only a splash of “appreciation-envy” but even in disappointment or discouragement; especially when we discover our neighboring colleague and spouse received a paid weekend in a lush resort, while we got a card stuffed with an Olive Garden Gift Certificate. Pastoring in these end-times is not for cowards. The people-problems that both ministry administrators and field pastors have to deal with are increasingly complex. The boundaries of civility and mutual respect are eroding by the second, and sometimes it seems easier to just not take definitive sides in order to avoid further conflict and making new enemies. As you well know, burying our heads in the sand rarely results in positive lasting solutions that cultivate emotional and spiritual growth and maturity. Paul’s warning delineates the specific characteristics and behaviors of end time people: “. . . lovers of themselves, lovers of money, boaster, proud, blasphemers, disobedient to parents, unthankful, unholy, unloving, unforgiving, slanderers, without self-control, brutal, despisers of good, traitors headstrong, haughty, lovers of pleasure rather than lovers of God, having a form of godliness but denying its power. And from such people turn away!” (2 Tim. 3:1-5). And yes, you have been called to pastor in this time in history, these types of people! “In this life our work for God often seems to be almost fruitless. Our efforts to do good may be earnest and persevering, yet we may not be permitted to witness their results. . . While the great final reward is given at Christ’s coming, truehearted service for God brings a reward, even in this life. Obstacles, opposition, and bitter, heartbreaking discouragements the worker WILL have to meet. . . But in the face of all this he finds in his labor a blessed recompense. All who surrender themselves to God in unselfish service for humanity are in cooperation with the Lord of glory. This thought sweetens all toil, it braces the will, it nerves the spirit for whatever may befall. Working with unselfish heart, ennobled by being partakers of Christ’s sufferings, sharing His sympathies, they help to swell the tide of His joy, and bring honor and praise to His exalted name. In fellowship with God, with Christ, and with holy angels, they are surrounded with a heavenly atmosphere, an atmosphere that brings HEALTH TO THE BODY, VIGOR TO THE INTELLECT, AND JOY TO THE SOUL.” (White, GW, 512,513). We deeply appreciate all that you ( & your spouse and children) have done to Kingdom-build this year. Now go celebrate that God saw fit to include you in this end-time Kingdom-building army! Comments Off on From Leader to Leader – Pastor you are SOOOOO Appreciated!